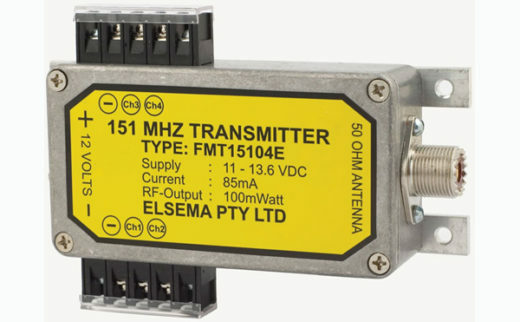 This FMT151 series has a transmission power of 100mW and a current consumption of only 85mA. 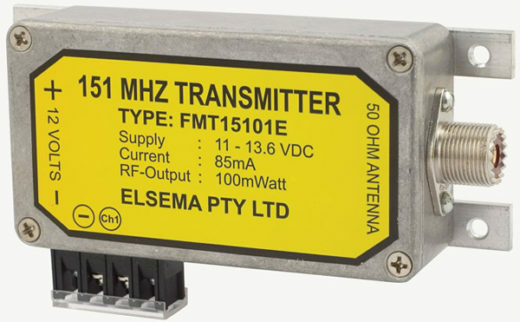 It gives a controlled range of up to 5000 metres. 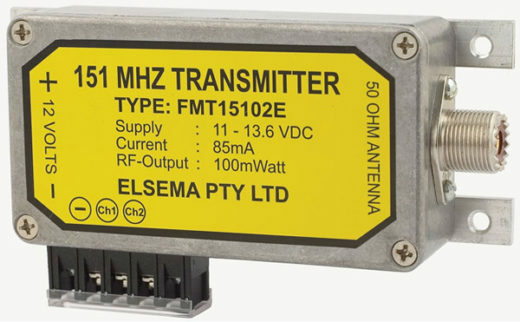 The controlled operation can be any electronic or electrical operated device when used with the FMR151 Series of receivers. 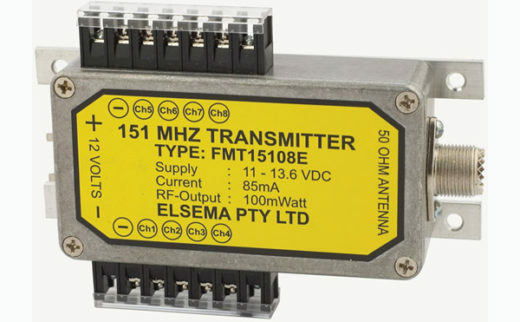 The channels are activated via screw type terminals onto which the user can connect reed switches, toggle switches, push buttons or any form of normally open (NO) contact.